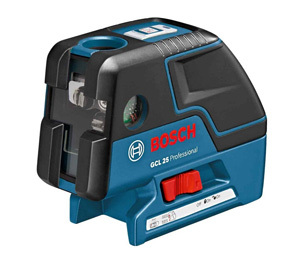 The Bosch GCL 25 five-point self-leveling alignment laser with cross line is the ultimate multi-use combination laser. This laser is paradigm for users who want a more adjustable, convenient and effective tool for regular use. It is ideal for use for any company that needs a one button use machine. 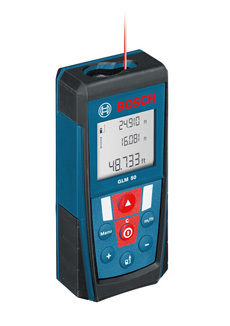 The point laser collection has been upgraded by the Bosch GCL25. It offers a variety of services in vertical level, plumb transfer, horizontal level, square, and layout applications, it is ultimate in resourcefulness. 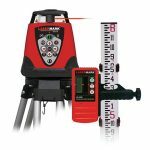 The GCL25 is multipurpose, thus this makes it fit for businessmen working on a range of jobs that involve plumbing, squaring, and leveling where a multitasking tool is required. 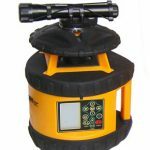 This laser is favorable for: kitchen installers, electricians, plumbers, framers and general contractors. Its multipurpose nature derives its applications in transferring points to the ceiling and square a room for partition or walls. 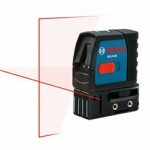 This laser has a variety of features that make it functionally viable to its work. 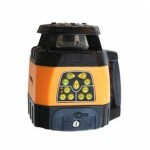 This laser has a simple keypad and the o/off button is easy to locate and use. The on/off button has three features that are very easy to understand and perform, this are: the laser is on but self-leveling is off, the laser is on and in self-leveling mode and lastly the laser is off. 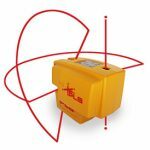 The GCL25 laser has a LED battery and the battery status indicator is located at the top of the tool for quick knowledge of the status of the battery level, more to this is that the laser is designed in a way to form user comfort when accessing the machine. Tripod that dictates accuracy measure at 1/8-inch on horizontal points, 9/16-inches on the vertical points and 1/8-inch on cross line. The point’s visibility reaches out to 100-feet, while the lines are visible for up to 33-feet. It has environmental protective measures against water and dust, which is done through ingress protection 54 (IP 54). This laser also has different points that give solutions to various applications. The common applications the machine was built to control are: vertical leveling, horizontal leveling, squaring and plumb transfer. The best feature with this laser is that it has the two combined power in it, and so it saves time, space and money with just one simple button. Tripod compatible 1/4″ and 5/8″ tripod thread, this GCL25 is incomparable to others like: GPL2, GPL3 and others as it is more advanced in many aspects, one of the aspects being it has a line on top of the five laser dots. Another difference is that it has 15 feet plumb range, 30 feet lines range and 100 feet horizontal point range. It has an outspoken accuracy of within 1/8 inch at 30 feet. 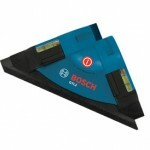 This is a great laser innovation from Bosch. Easy to use, has a long life span and it is durable and able to cope in harsh climatic conditions. This laser makes work easier and saves time for contractors or the end users. This is the laser that gets the job done in time.